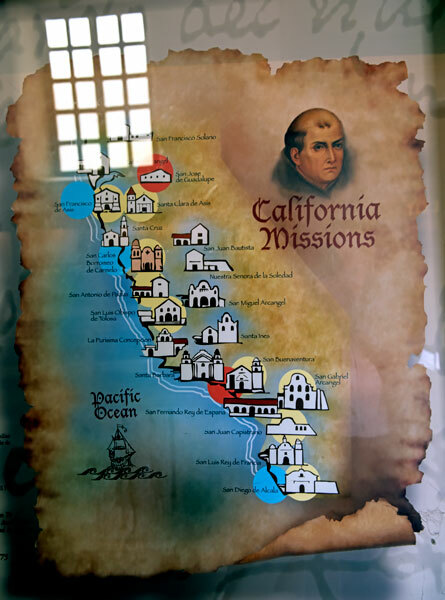 Mission San Carlos was established by Father Serra on June 3, 1770 at the Presidio of Monterey. Finding this location unsuitable, Serra moved the mission to Carmel Valley. In July 1771 he set to work constructing temporary buildings at the new site, and in December 1771 the mission was moved to its permanent location. 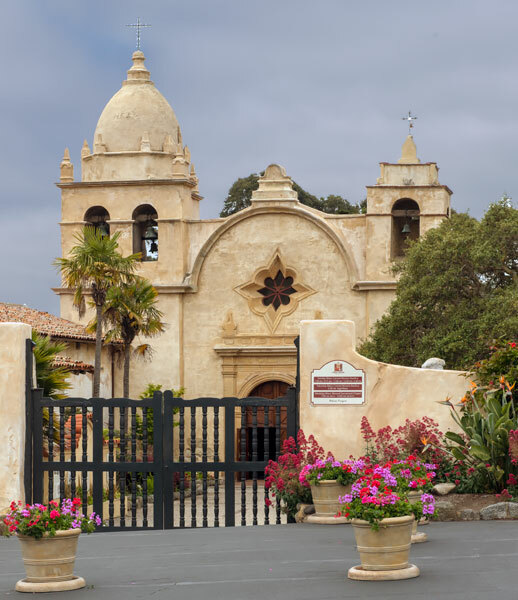 Carmel Mission, NRHP listing #66000214, is a National Historic Landmark. We were unable to locate a California historical marker.